This TrackMaster™ motorized engine from Fisher-Price is inspired by the character, Timothy, featured in the Thomas & Friends™ DVD adventure Tale of the Brave! Timothy is a cheerful little oil burning steam engine who works at the Clay Pits and loves being useful! With enhanced speed and performance, TrackMaster™ engines go faster and climb steeper inclines, driving Thomas & Friends™ to greater speeds, taller heights and bigger adventures! Flip the switch and watch Timothy race along on another exciting journey. 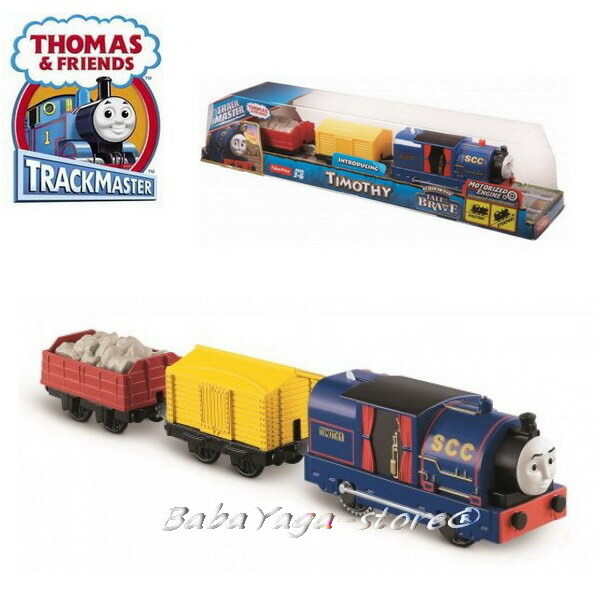 He’s the perfect addition to your collectable, expandable, motorized TrackMaster™ world! Requires 2 AAA batteries.